When I started dating a vegetarian, my mother was shocked. “You’ll never survive,” she said, all smirks. We had steak for dinner that night. But as they say, opposites attract, and I’ve since eaten some incredible vegetarian food in Melbourne that I probably wouldn’t have tried otherwise. Every hipster and their fixie opts for a vegetarian diet these days, so I thought I’d share my favourite vegetarian restaurants in Melbourne. Thanks to their daily menu, choices are limited Moroccan Soup Bar, but it’s always scrumptious. That’s assuming you can get a table. They take bookings for six or more, but if you don’t want to wait around, bring your own Tupperware and they’ll fill it for you to eat in the comfort of your own home. This vegetarian restaurant has a cheap and cheerful vibe. Expect Moroccan stews, traditional dips, warming soups and flavoursome tagines. If the chickpea bake is on the cards when you visit, make sure you try it. So this one is a little bit predictable; Vegie Bar is, afterall, a Fitzroy favourite. The joint is over two decades old, and rumour has it Vegie Bar started as a vegetarian concept because the owners couldn’t afford meat. They’re laughing now: it’s not uncommon to wait for a seat for an hour on a Monday night. The warehouse space with high ceilings and covered courtyard are also great for a drink. 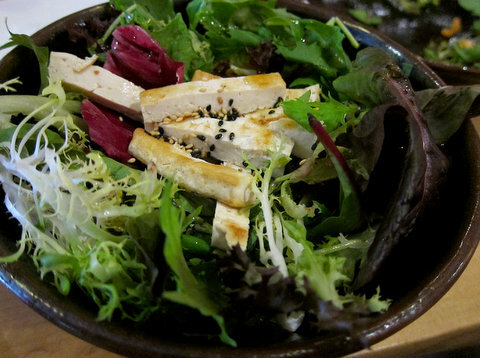 You can order everything from soba noodle salads to Moroccan pizzas, as well as an array of veg-friendly desserts. South-siders rejoice: this vegetarian restaurant is on your side of the river, tucked behind the bustle of Carlisle Street. Order a specialty coffee (they roast their beans in-house) and try the gluten-free, vegan Avignon apple and buckwheat pancakes. They are served with cinnamon ice cream, maple syrup, vanilla bean whipped cream and dehydrated apple chips. Somehow, you still feel healthy after eating them. I’ve been eating at Yong’s long before I lived with a vegetarian. All my meat-loving friends rate their Asian-style vegetarian food, as well as the vegan and raw food options. 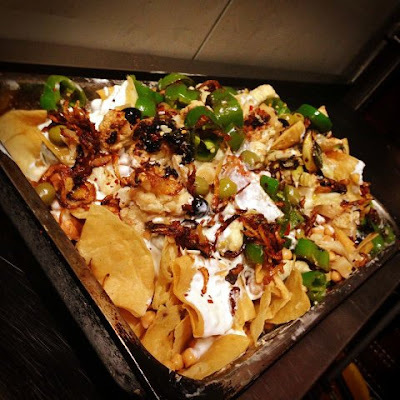 Try the vegan chilli bean nachos and homemade kimchi gyoza, or one of the incredibly filling organic burgers. Oh, and if the raw, vegan fudge is on offer, don’t leave without it. A word of warning, this place is always busy. Go early to avoid disappointment. 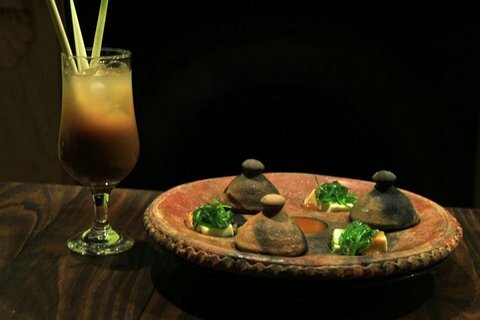 The original Shakahari is located in Carlton, but its South Melbourne sister, Shakahari Too, is definitely worth a visit. Shakahari Too is a great place for herbivores and carnivores alike. The flavours are fantastic, the presentation is gorgeous and the service is top-notch. 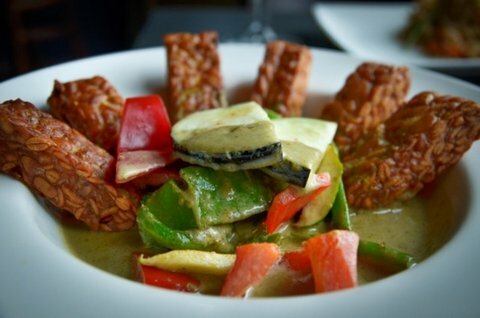 Start with 'avocado magic' tempura and move onto the satay. The chef at Munster Haus hails from Tofu Shop International (see number 9), and the concept has similarities. Pay for a small, medium or large plate and then and pile it up with a mountain of vegetarian deliciousness. According to their Facebook page, “Munster Haus will both arouse and fulfill most of your dietary & personal needs.” Surely that’s an offer you can’t refuse. 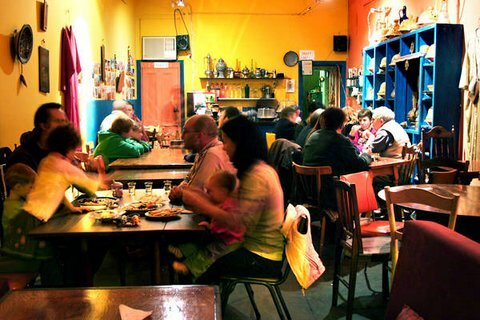 Lentil as Anything is a vegetarian concept where you pay what you think the food is worth. It’s buffet-style, so you can take as little or as much as your stomach desires. Curries and stews are common, as are pastas and hot pots. Plenty of people visit for lunch and dinner, but I recommend heading to the one at the Abbotsford Convent for breakfast plates such as poached eggs on potato rosti with spiced yoghurt sauce. The community vibe and live music are also a bonus. 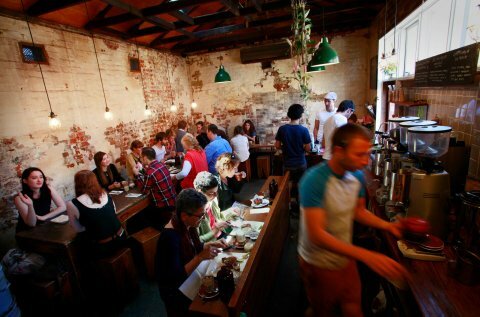 Another day, another Brunswick Street vegetarian joint. Madame K’s is an undiscovered gem in my eyes and a great takeaway alternative if you live in the area. The food has a Thai influence thanks to the owner’s heritage and when I tried the mock meat, I had to check if it really was made from vegetable protein. I know I harp on about dessert, but the pumpkin balls in coconut milk with soy vanilla ice cream are amaze-balls (excuse the pun). Vegetarians be warned, Tofu Shop isn’t cheap for what it is. That doesn’t change the fact that Bridge Road and Richmond workers flock through the door the second it opens. Tofu Shop has been around since 1981, which makes it significantly older than me. The organic, hippy vibe gives this vegetarian haunt a laidback feel, while the menu is full of goodness. Tofu lovers can choose from a plate piled high with the dishes of the day, or can grab a falafel or wrap to go. 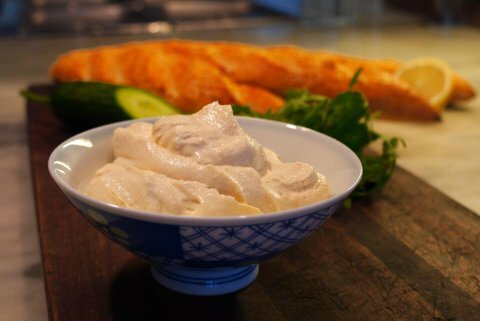 Try their famous tofu dip, or, weather permitting, the tofu ice cream is a winner, too. Crossways is a favourite among students, Melbourne vegetarians and tight-arses alike. That’s because it’s all-you-can eat for $5.50 with a concession card, or $7.50 without. As long as you’re happy with the daily main and dessert on offer, with your choice of lassi or cordial, then it doesn’t matter. It’s casual, basic and has a homely feel. If you’re feeling spiritual, peruse one of the books on ancient Indian knowledge and beliefs. For all-you-can-eat Indian-vegetarian food at $6.50 per person. For their “livin' on the vedge” vegetarian-Mexican menu on Monday nights that “keeps pork off your fork”. For their tofu asada burrito the size of my arm with spicy charred tofu, vegan mozzarella, goat’s cheese, salad, salsa and avo. Complete with a side of hipster. For their superfood dog with a quinoa, sweet potato and tamarind ‘sausage’, served with chilli lime mayo, smashed peas, alfalfa, coriander and sour cream. And a side of life-changing, cheesy fries if you’re feeling naughty. 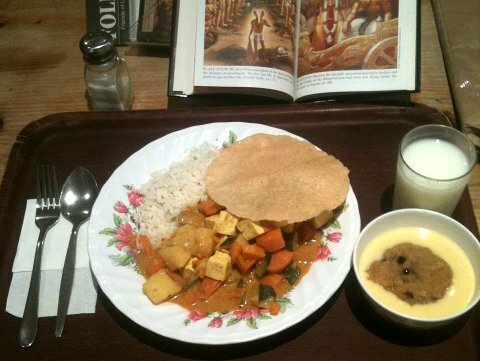 For vegetarian food that’s sanctified via offering to Lord Krishna before being served. Good for your belly and for your karma. For late night snacks after a few too many drinks. LOTF regularly fools hungry meat-eaters into drunkenly gorging on its wares. That’s right, there’s no beef in that burger, honey. For vegetarian balls. Choose from a bed of pasta, polenta, beans, mash and salad, or chow down on them in sliders. Have I missed your favourite vegetarian restaurant in Melbourne? Share it in the comments below and spread the veg love! So many great places! I'm not really a fan of Vegie Bar, but love the nearby Moroccan Soup Bar and Yong Green Food. Nice round-up! I reckon vego eateries have come a long since the '70s. Of course, Melbourne is well endowed with restaurants - especially of the various ethnic varieties - where it is possible to eat meat-free as well. Agree with you 100 per cent. I don't get far enough out of the city often enough to experience all of those ethnic varieties, but then again, that's why we have your blog, right?! Some others to try out: Veggie Kitchen in Northcote, Fina's in Richmond and the pub food at The Gasometer and/or The Fox in Collingwood. Thanks for the tips, Michael, will have to check them out. Veggie Kitchen (Intention of Love) on St George's Road, Northcote. Wonderful food and beautiful philosophy. No alcohol. Lovely service, peaceful. This is what their website says. We offer healthy and delicious home made dishes with fresh and natural ingredients, influenced by Traditional Chinese Food Therapy's principles and delicately handled with lots of care and love, to help you achieve your healthy, happy and loving life. How have I not stumbled across this sooner? Thanks so much Jen, will add it to the list! Agree with all the above - great blog post. Om Vegetarian always wins for me!!! Thanks for reading! Always good to get your veg on now and then, even if you're a meat-eater, like me! There a new pop-up food stall in Melbourne - OVERDOSA operating at 50 Rose street, Fitzroy (right next to the Rose street artists market) on the weekends selling Dosas - savory rice and lentil crepes originating all the way in Southern India. The place is super cool, set in an old warehouse with a table-tennis table and casual (keeping true to the street origins of the dosa) and the menu is all vegan and gluten-free, definitely worth a check out for all the fellow vegans and gluten-free lovers out there!! There is a very good Chinese vegetarian restaurant-not cheap but the meal is good- behind the Classic Theatre in Glenhuntly Road Elsternwick. It seems that the cooks are from Hong Kong. I dont recall the name of the restaurant. Haven't been there, thanks for the tip! 1 An Indian veg restaurant in Waverley Road Malvern about 150m east of Burke Road The cooks from Gudgerat state (I think). 2 An unpretentious but good restaurant in North Road Ormond. Different dishes from throughout Asia. Global Vegetarian on North Rd, Ormond! delish! 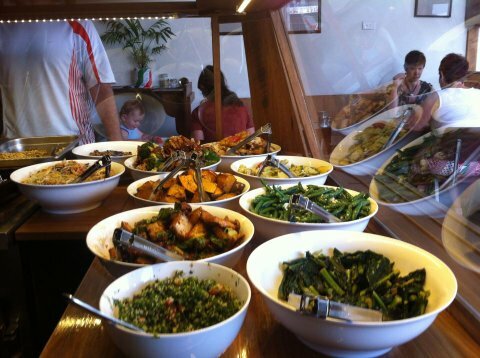 Try Vegelicious in Balaclava... yum! Gorgeous and cosy, I recommend the tasting platter. .. it's well enough for two or three people! Why visit this site for your Melbourne window cleaning needs? Our cleaners are not franchisees or subcontractors, we are Melbourne window cleaners with 20 years experience. We combine the professional service that you come to expect with the old fashioned courtesy that is so often missing today. And, because we have been window cleaning melbourne homes for so long, we have the professional and personal service that you rightly deserve but often find lacking. Nice! I like the Veg indian food very much! 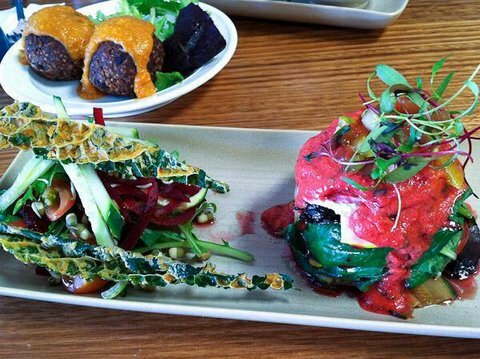 Thanks for the list of vegetarian restaurants near melbourne. Local licensed and experienced roofers. Specialising in roof restoration, roof painting, roof cleaning and roof replacements. Servicing the Ballarat region. I would try the lentil eatery.